We are getting close, Halloween is right around the corner. Do the kids have their costumes planned? 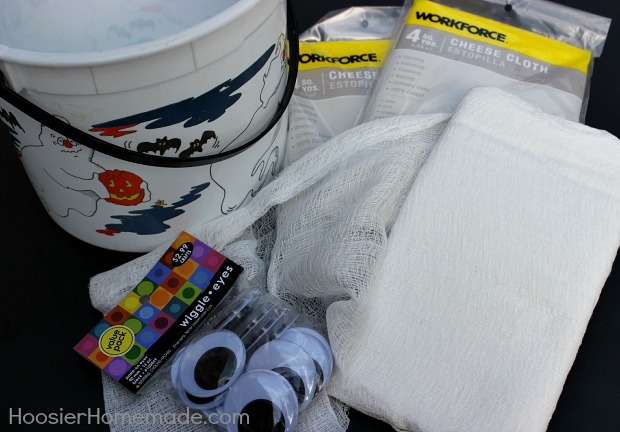 One of my favorite memories of Halloween many moons ago, was creating and sewing the boys costumes. So fun! One year we all dressed up as Wizard of Oz characters. I should dig up those photos and share with you. 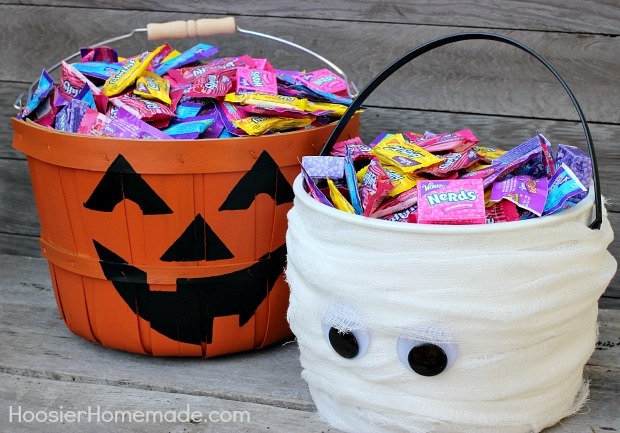 Part of dressing up is Trick-or-Treating, and also passing out treats to the neighbor kids. We live on a very popular street for Trick-or-Treating and usually have about 700-800 little goblins on Halloween night. 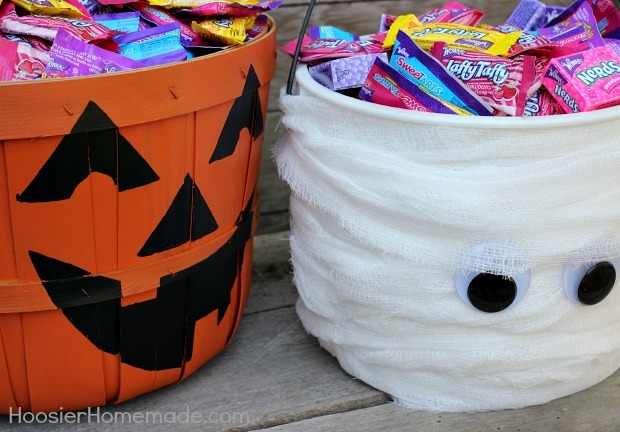 I’ll be ready with these adorable Trick-or-Treat Buckets that I made. 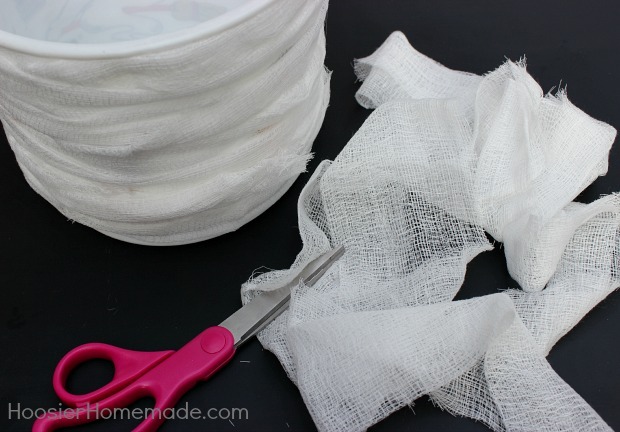 They are super simple and so fun to create! 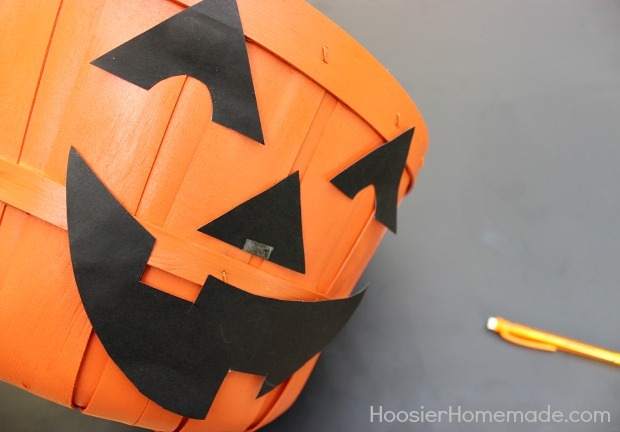 Made with a wicker basket and paint, the Jack O’ Lantern Bucket is so cute. 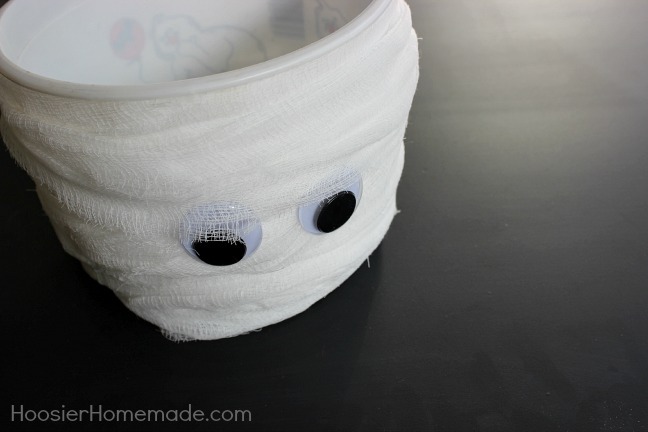 I think the Mummy Bucket is my favorite though. 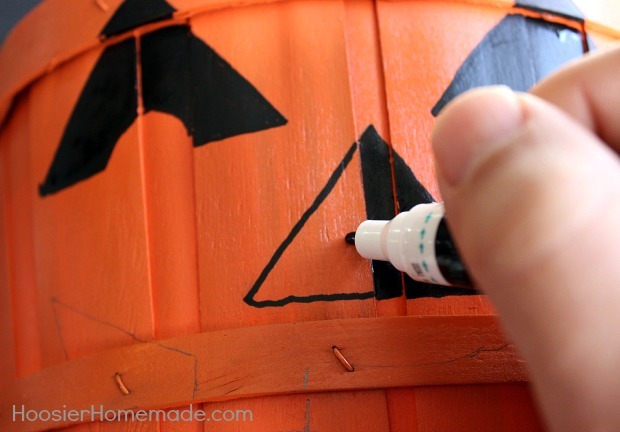 Bucket – we had this one in our Halloween stash, but you can also find them at Walmart or other craft stores. 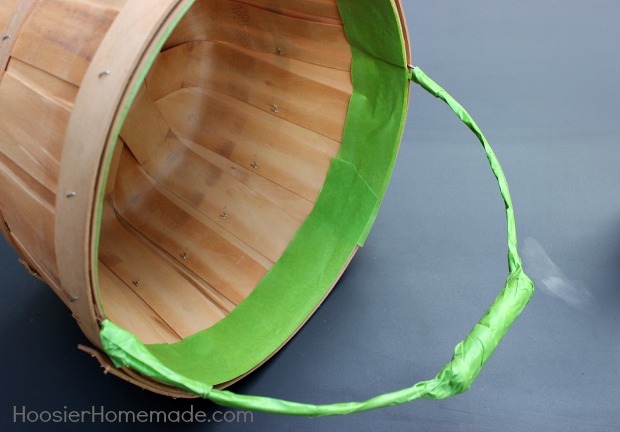 A bucket with straight sides is the easiest to cover. 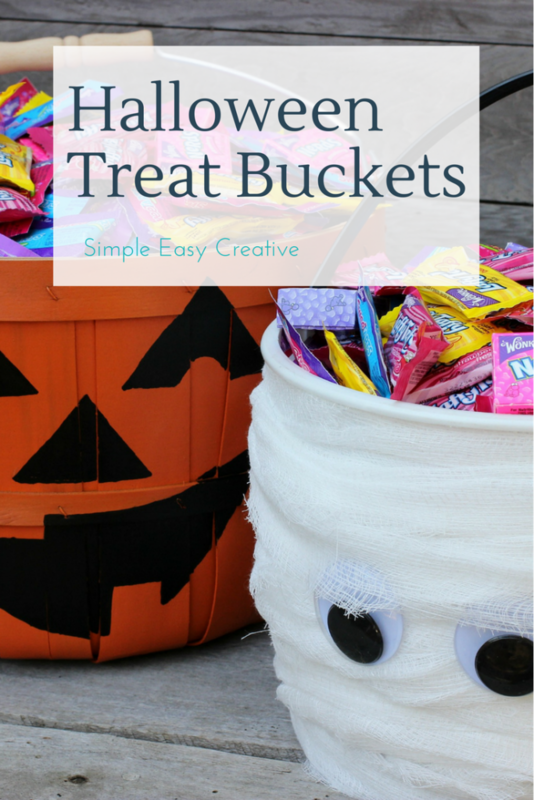 Now what if you don’t have kiddos that need a Trick-or-Treat Bucket? 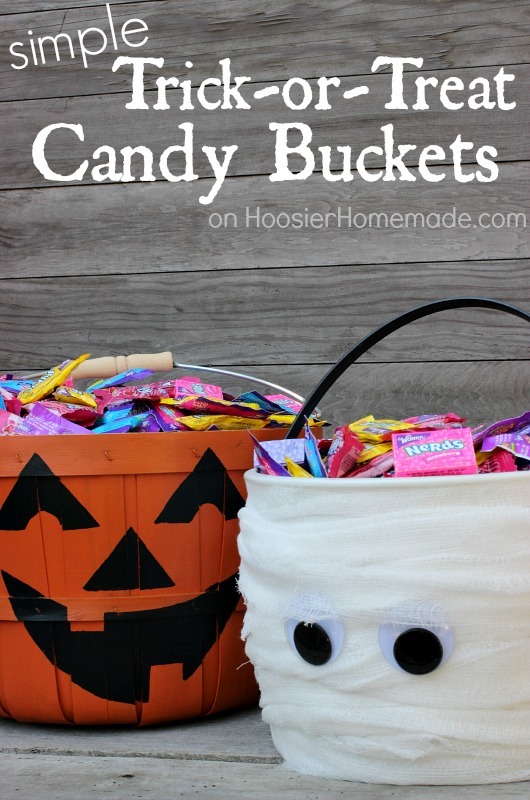 Or maybe you are wondering what you can do with the bucket after Halloween? I have you covered there too! 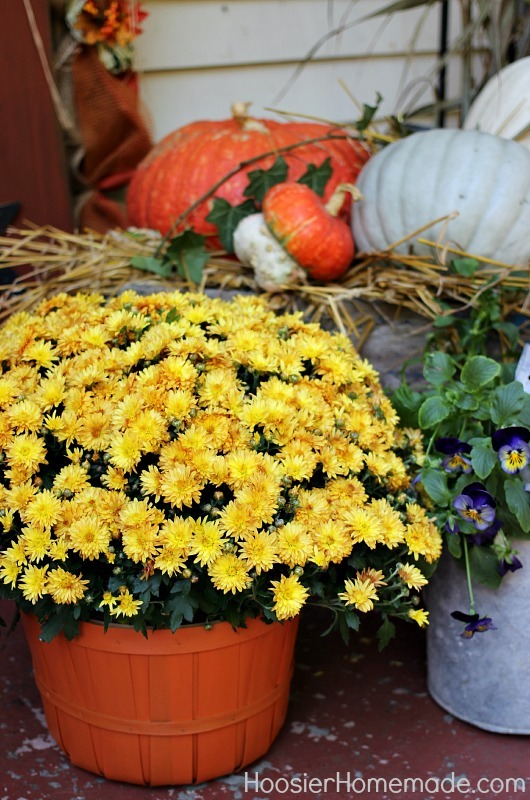 Turn the bucket around and place a Mum inside for a beautiful display on your porch or front step. 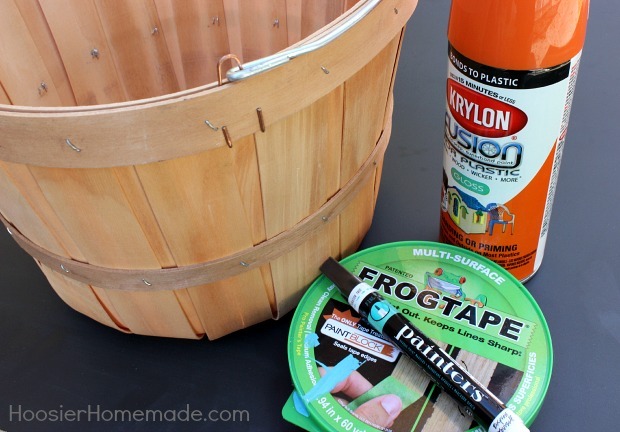 So excited you like the buckets. Thanks Vickie! I am in LOVE with that pumpkin! Thanks Angie. This was one of my favorite projects lately.